Do you want to stand in a government line for seafood? Once the power-hungry agencies are finished [with the California Marine Sanctuary Joint Management Plan], many small fishermen will be forced to sell their boats, And once the industry is harmed in this manner, it won’t be easy to restore. Moreover, the effects of the onerous regulations promulgated in the name of the “Sanctuary” will be highly detrimental inland. Everything that drains to the “Sanctuary” will be even more extremely regulated, to a point where government agency land grabs will increase. 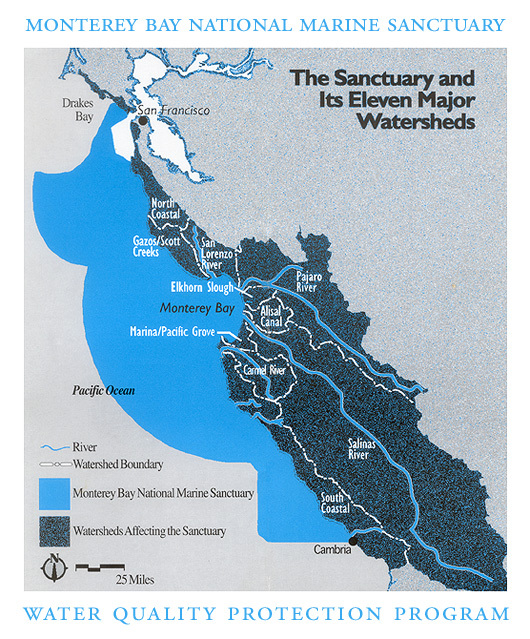 [To view a map from a Monterey Bay National Marine Sanctuary brochure entitled “The Sanctuary and its Eleven Major Watersheds”, click here]. Private landowners are far better stewards of land than the government, and therefore the environment and private property rights suffer from over-regulation. Experience shows that junk science is behind much of this*. The goal is power and control, not environmental protection. Our taxpayer dollars are being spent by government agencies who are robbing us of our rights to use and enjoyment of the oceans and our private property. Those who hold a position of decision-making should be held personally accountable for their actions when confiscating private property, whether it is on land or sea. These documents are part of a global control scheme, and although some of you may not have been previously aware, the links contained herein do provide information adequate to cause you to be informed. Unless you want to stand in a government line for seafood, just say “No” to this massive over-regulation that is, in essence, a bunch of collectivist policies designed to destroy the concept of private property and the freedom that private property supports. Ms. Rudnick submitted a similar letter to the National Oceanic Atmospheric Administration (NOAA) and local newspaper reporters for the public record. 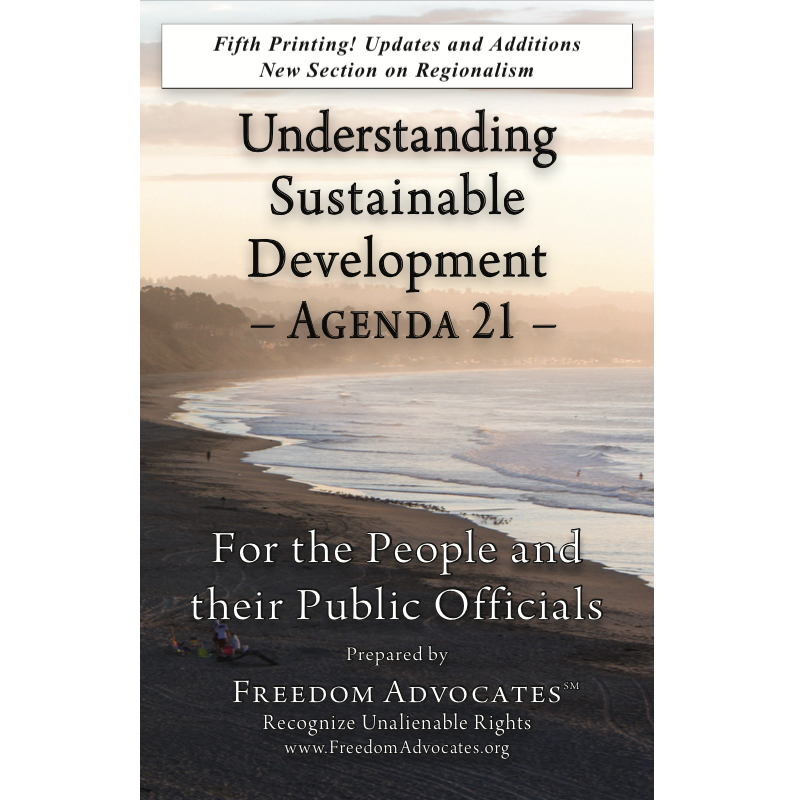 Hyperlinks have been added by Freedom Advocates [formerly Freedom 21 Santa Cruz].